This week I had the pleasure of seeing inside the Herbarium at the Royal Botanic Garden in Edinburgh. I have, very often and from earliest childhood, enjoyed walking in the gardens and hothouses, but this was the first time I had entered the Herbarium buildings – the real heart of the enterprise, as my host rightly stressed. The New Herbarium is pleasing 1960s architecture, that does not look out of place among the wide range of historic and modern buildings in the gardens. 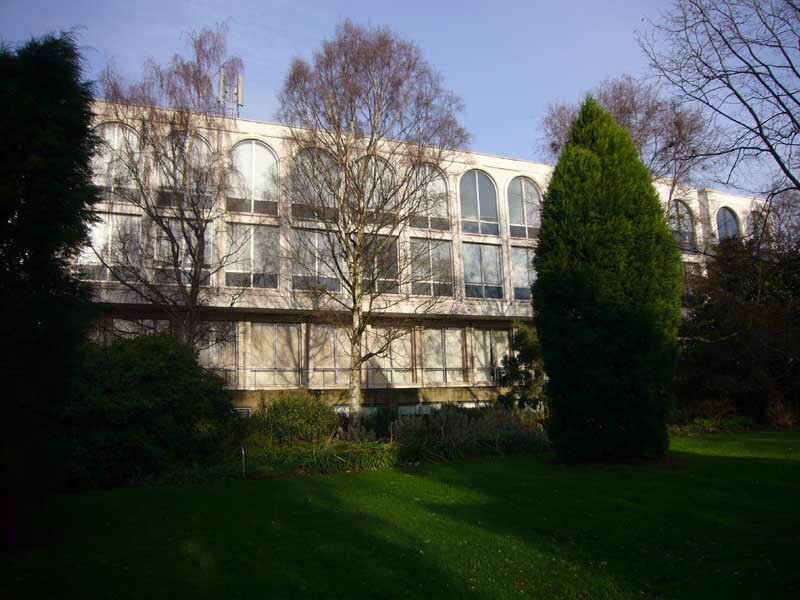 A place that serves the needs of modern science, described by the RBGE as “a collection of preserved plants stored, catalogued and arranged systematically for study by both professional taxonomists (scientists who name plants), botanists and amateurs”, it is a working reference collection, arranged by modern taxonomy and geographical area. Each species is represented by many examples including, of course, type specimens – the reference point for a newly discovered species. There is an online catalogue and an expanding digitisation project. It is also a treasure-trove of history. The list of major collectors who contributed to the Edinburgh herbarium cross more than two centuries. While is was not founded until the mid-19th century, it incorporated collections from the University and Botanical Society that dated back significantly earlier. I was there to see specimens collected in the Arctic on the voyages of scientific exploration led by William Parry (below) in the 1820s. 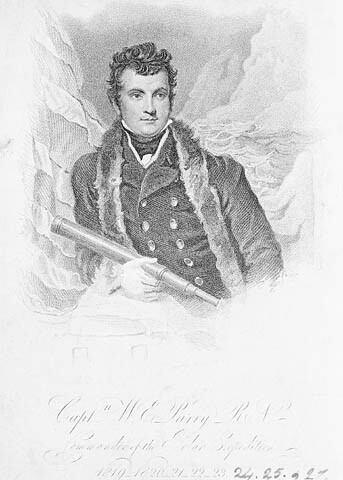 On the first expedition he led, aimed chiefly at locating the North West Passage, Parry and his crew received a reward of £5000 for reaching 110⁰ West within the Arctic Circle, as specified by the 1818 Longitude Act. Like other Arctic voyages of this period, the Board of Longitude also lent and advised on instruments and techniques. As with all such high-status voyages, they combined strategic, political, commercial and scientific objectives. They undertook to observe, record and collect whatever they could, both relying on newfangled instruments and subjecting them to test. Naval officers and crew were supplemented with astronomers and surgeons acting as naturalists – although the officers too were becoming specialists, with many contributing not only to surveys but to the botanic, zoological and oceanographic work, and Parry himself returning to become Hydrographer of the Navy. Indeed, it is notable that the Navy seems by this date to have taken on much of the scientific expertise that, in the days of Cook, had been brought in from outside. Trevor H. Levere’s Science and the Canadian Arctic tells us that it was Parry, rather than the Royal Society or Board of Longitude, who drafted the scientific instructions for the voyage and superintended work during the voyage. He insisted on careful field notes, saying “nothing is to be trusted to memory”. It was, presumably, this instruction that led to a number of field notes that I was able to see in Edinburgh. While many specimens have been remounted on standard-sized paper to form part of the main Herbarium collection, thus losing a sense of the original mounting and sometimes related notes, there are three small collections relating to Parry voyages that – as duplicates of other specimens at Edinburgh and the Natural History Museum – were left on their original small-sized sheets. In this sheet, you can see four small folded-over sheets containing specimens. The one opened reveals that it was collected at Repulse Bay in 1821, on Parry’s second Arctic expedition. The species name, Epilobium Latifolium, appears in a different ink, presumably written shortly after. It is, Wikipedia tells me, the former name of Dwarf Fireweed (Chamerion latifolium), said to be an extremely nutritious supplement to meals of blubber. (In the Herbarium itself, I was also shown the locker of specimens of some anti-scorbutic member of the cabbage family, many also collected in the Arctic, and still smelling of old school dinners!). The closed specimen folders on the sheet in my photograph carry the brief field notes, some evidently written in retrospect, although perhaps still on board ship: “Found in most places that we visited”; “Not very abundant, but generally met with in our visits to the shore” etc. The notes, presumably, were kept by the person recorded at the front of this collection, Lieut. William Harvey Hooper, the expedition’s Purser. His expedition journals are at the the Royal Geographical Society, I note, so further detail on his process of collecting and recording could, no doubt, be uncovered. You might just spy in this photograph another label, dated 1944. This relates to some former cataloguing of the specimens, and is very typical of Herbarium collections. This is another reason why they are historically so fascinating. Not only can we recapture something about the particular expedition – information of use to historians of science and to scientists studying changes in plants, their distribution and climate over time – but we can also learn about the afterlife of the specimens themselves. Although now in the same place, sheets in the Herbarium show us that specimens from expeditions were distributed to a variety of locations. They reveal the networks of collectors, academics and institutions that mattered, both for official purposes and sometimes more personal ties. These maritime expeditions could amass and transport enough specimens for a number of deposits, personal collections and friendly exchanges. The added notes and labels also tell us about the history of herbaria themselves – many being left by bequest, closed or amalgamated – and practices of the botanists who worked in them. A single box of a single species might cross centuries and paint a complex geographical picture, not only reflecting the origins of the various specimens, but the veritable dance each undertook as it was transferred from collector to collector, collection to collection. There is much there that appears ripe for analysis by historians of science. The initial impression of historical information lost in the act of scientific cataloguing is overcome when early catalogues, correspondence and information on the specimen sheets themselves are brought together. Such work has been done for some of the most famous collections – the most high profile example perhaps being the Hans Sloane Herbarium at the Natural History Museum – but what of these relics of the work, collections and networks of 19th and 20th-century botanical collectors and taxonomers? Edit: I have also written a post relating to this visit over on the Longitude Project Blog, with some other and further thoughts linking more precisely to the project and exhibition work. 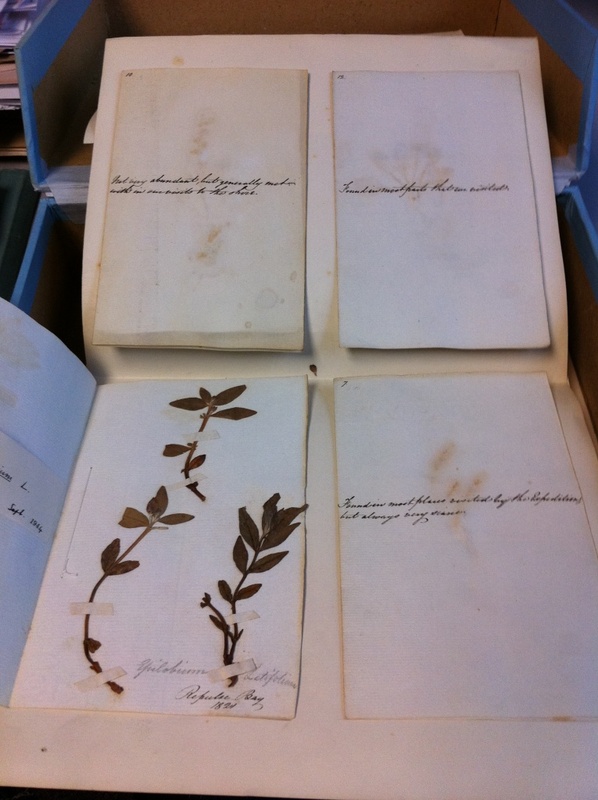 It has another image of a Parry specimen, this time from the Herbarium proper.